The shift from desktop to mobile and tablet devices continued its steady pace in 2018. More than 58 percent of web visitors and more than 51 percent of page views were generated from mobile devices last year, compared to 38 percent of web visitors and 40 percent of page views only three years ago. In 2018, nearly 28 percent of bookings and 25 percent oof room nights came from mobile devices, compared to 21 percent of bookings and 17 percent of room nights in 2015 (HEBS Digital client portfolio data). It’s clear that we’re already living in a mobile-first world. Mobile devices dominate the travel planning journey: up to half of all desktop bookings worldwide are preceded by a click on a mobile device, and 94 percent of leisure travelers use multiple devices (mobile, tablet, desktop) when planning and booking travel (Criteo). In hospitality, up to 30 percent of hotel bookings are done via mobile devices, a percentage dependent on whether the property is branded or independent, its location (rural or metro area), complexity of hotel product (golf resort vs. major city hotel), availability of a loyalty programme, and composition of its customer segments (business vs. leisure, transient vs. group). Nearly 28 percent of bookings, 25 percent of room nights, and 24 percent of revenue came from mobile devices. If we include over-the-phone reservations originating from the hotel mobile website, more than 35 percent of bookings and 30 percent of revenue originated from the mobile channel. 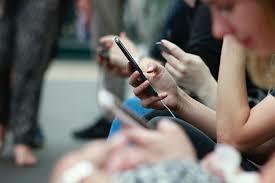 Nearly 58 percent of web visitors and 51percent of page views were generated from mobile devices. Less than 21 percent of bookings, 17 percent of room nights, and 15 percent of revenue. Less than 38 percent of web visitors and 40 percent of page views. Less than 9.5 percent of bookings, 8.6 percent of room nights, and 9 percent of revenue. Less than 17 percent of web visitors and 14 percent of page views. Hoteliers need to keep the property website, which is the foundation of their digital marketing and distribution strategy, up to the mobile-first standards demanded by today’s travel consumer. With nearly 59 percent of website visitors now viewing on mobile devices, a fully responsive mobile-first website design is a must. The website download speeds across various devices also inevitably affects conversion rates on the hotel website: fast download speeds drastically improve the user experience and increase the user’s desire to purchase on the site. According to Google, 53 percent of visits are abandoned if a mobile site takes longer than three seconds to load. Mobile-first responsive websites with cloud hosting and CDN (Content Delivery Network) provide far better server response times and faster download speeds across geographies. Reserve 15-25 percent of your property’s digital marketing budget for multichannel campaigns.